Before we talk about our services here is a little history about this location. Anaheim is located 30 miles south from downtown Los Angeles and about 90 miles north of San Diego. Anaheim was founded in 1857 and was only 1,165 acres. The town was originally called Anaheim. The ‘’Ana’’ in the name was referring to the Santa Ana river bed which passes through the town and the ‘’Heim’’ means home in German which were the founders of this town. Anaheim quickly grew and was soon turned into the state’s wine capital by having 47 wineries. Unfortunately plant viruses killed off most of the grape fields in 1880. This is when Anaheim colonies started to grow the famous orange tree fields. To learn more about this location please visit The City of Anaheim website here. 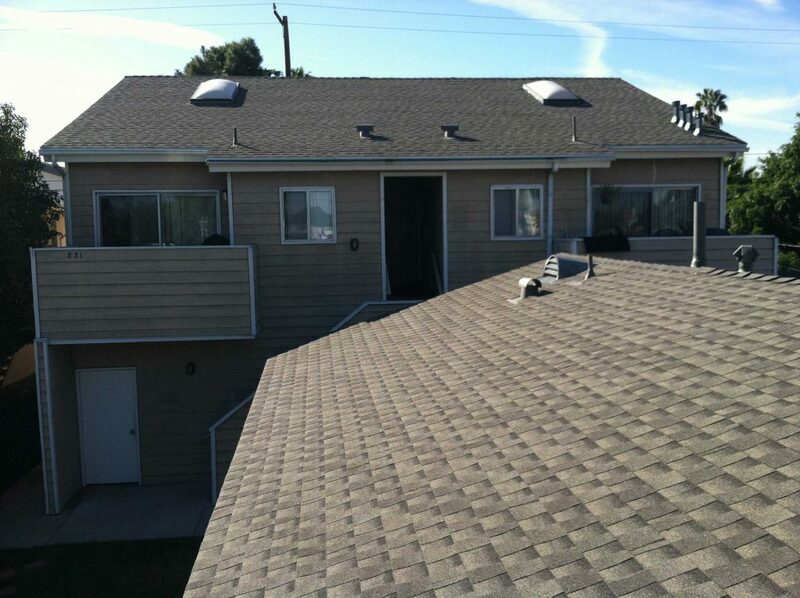 Horizon Roofing worked on this Anaheim composition re-roof project. 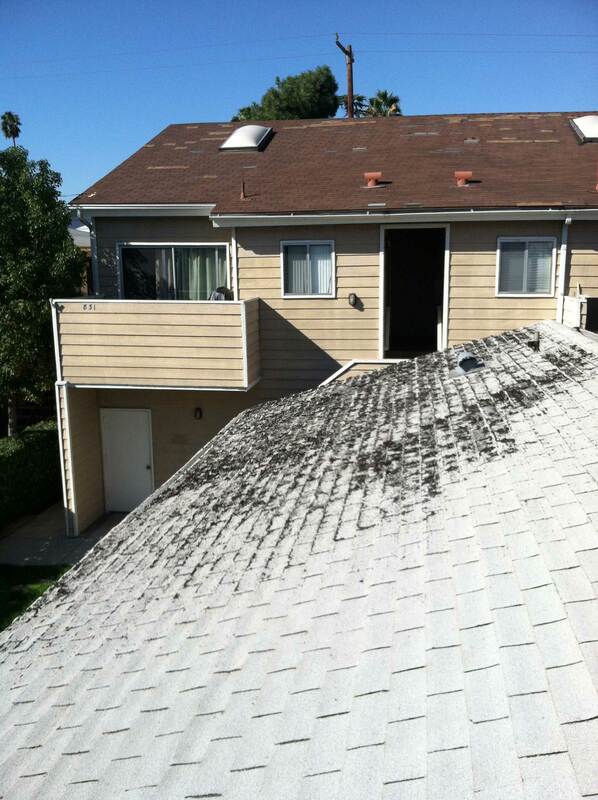 The three tab shingle is about 20+ years old and has delaminating shingles and popped shingles. The next photo shows a new roof installed by Horizon Roofing. You will notice a high definition weathered wood architecural shingle manufactured by Timberline. Contact us to learn more about our roofing services and how we can help with your next roofing project! Very fair price. Always showed up on time and ready for work. Once the project was on its way he discovered an unforeseen issue but was able to address the issue for a more than fair price. They walked the completed job with me describing all that was done. The crew cleaned up the work site better than what they found it. I will use their services again. Read more reviews from our loyal clients.